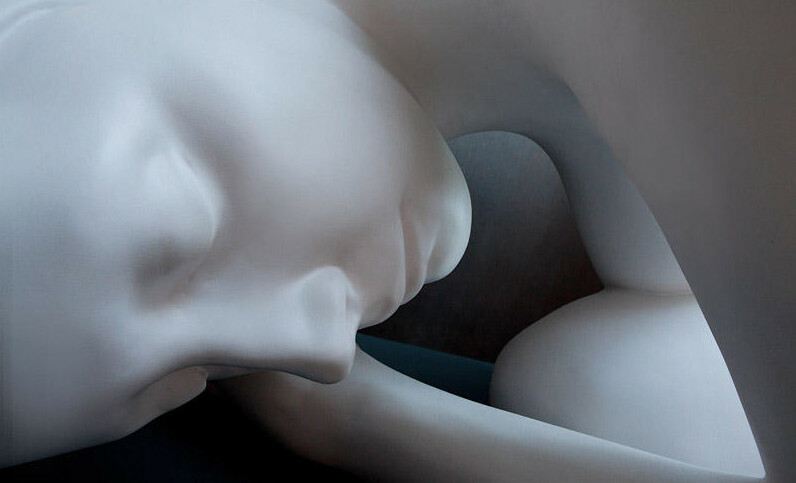 With Spring in full bloom, there's no better time to consider a work like "Monumental Cocoon." Like a burgeoning butterfly ready to burst from its safe haven, this gigantic marble figure lies powerfully in wait. Here the fetal position loses its typical connotation of infantile weakness. Instead, the pose reflects dormant potential, a showing of promise. As a figure made of marble, "Cocoon" is in dialogue with Classical sculpture, the most lauded artform within the hierarchy of genres. The pose is neither upright nor heroic, yet it still conveys a sense of power and authority. Her smoothly rendered countenance shows peace and contentment. This piece can be seen as an allegorical device through which the artist comments on her own potential. Despite her established career, Carole still sees herself on the verge of that critical bloom. This mindset is what makes creators great, what keeps them pushing for growth and constant innovation.